Bordner is the premier source for replacement windows, exterior doors, home siding, and roofing installation services. We have served homeowners in the Midwest since 1987, continually honing our installation skills and finding the best products for each project – all while providing the best customer service possible. In fact, throughout the years we’ve earned the business of more 80,000 customers without ever having a complaint filed against us with the Better Business Bureau. One of the reasons for our ongoing success is our insistence on using reliable products from some of the most trusted manufacturers around. For example, our fiberglass and fiberglass-reinforced vinyl windows are built to look beautiful and can enhance the energy efficiency of your home. With their tight seal and built-in insulation, our replacement windows can make it easier for you to maintain a comfortable temperature in your home, potentially even saving you money on your heating and cooling costs. To complement our window selection, Bordner also installs a large selection of beautiful and functional entry doors, which also are designed with visual appeal and insulation in mind. What’s more, our expertly trained staff can also handle all of your roofing needs with ease. Thanks to our unique Fortress Roofing System we can proficiently install shingle roofs that increase the aesthetic appeal of your home and the performance of your roof. And, consider complementing your newly renovated roof by eliminating the need for gutter maintenance with one of our gutter protection products. Our gutter guards will eliminate all blockages that lead to overflow damage. If you’d like to enhance the exterior walls of your home, Bordner can replace your existing home siding through skillful stucco installation. By applying stucco to your home and carefully sealing it with a product that will protect it from moisture, we go the extra mile to improve your home’s curb appeal while keeping maintenance needs to a minimum. If you have a stronger preference toward traditional siding, Bordner offers several options, including a range of fiber cement siding that is not susceptible to rotting or deteriorating like some other house siding materials are. Not only is Bordner an expert on important exterior home renovations, but we are also skilled and experienced in completing interior projects. Our team of bathroom remodeling specialists will ensure that one of the most important rooms in your home is aesthetically appealing and meets all of your functionality criteria. Our team can quickly and effectively install a new walk-in tub or complete a tub-to-shower conversion to enhance your bathroom’s accessibility, or we can simply replace your worn-out shower enclosure for a fresh look. All of our bathroom remodeling products are available in numerous styles and colors, so you can choose exactly the products that best suit your family’s needs. No matter what product we’re installing – indoors or outdoors – Bordner always puts our customers first. That means assigning a project manager to every job, giving homeowners a single point of contact for receiving updates and asking questions about progress. And, we even offer a price-match guarantee that is nearly unheard of in our industry. 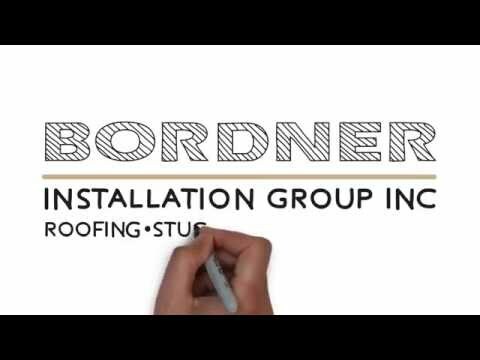 Contact Bordner today to learn more about what sets us apart from our competitors and to get more information on all of the tremendous products we offer, from replacement windows and home siding to roofing systems and tubs and showers for bathroom remodels. Make sure to ask about the financing options that we have available for homeowners who qualify.